From Lebanese street children to love behind the Iron Curtain and the daily life of a Mexican housekeeper, in 2019 Oscar-nominated foreign language films draw from real life and, in some cases, deeply personal experiences. Poland’s “Cold War” and Germany’s “Never Look Away” are set decades ago, Japan’s “Shoplifters” and Lebanon’s “Capernaum” take on contemporary themes, while “Roma” is the most personal film ever made by Alfonso Cuaron. 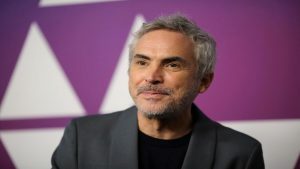 “Roma,” inspired by Cuaron’s 1970s childhood in Mexico City’s Colonia Roma neighbourhood, is seen as the favorite to take not only the foreign language Oscar on Sunday but could make history by also winning best picture. The film, shot entirely in black and white, is inspired by the two women who raised Cuaron: his mother and a domestic worker. Polish director Pawel Pawlikowski was inspired by the love life of his parents for “Cold War,” a dark romance between a pianist and a singer set in both Communist-led Poland and postwar France. The lead characters, Wiktor and Zula, are named after his parents. The post From street kids to war romance, Oscar foreign-film slate keeps it real appeared first on SABC News – Breaking news, special reports, world, business, sport coverage of all South African current events. Africa's news leader..